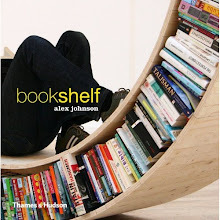 Victoria Reichelt paints portraits of bookshelves. Pictured above is The Coorey Family, oil on canvas, 2009, 148 x 37cm. 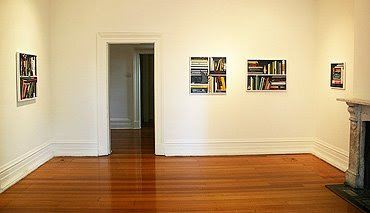 "While some of these bookshelf paintings are of random books, I’ve recently done a series that are portraits of people. So I’d go to their houses and photograph their bookshelves and then make paintings from the photos as a way of telling the viewer about the person."